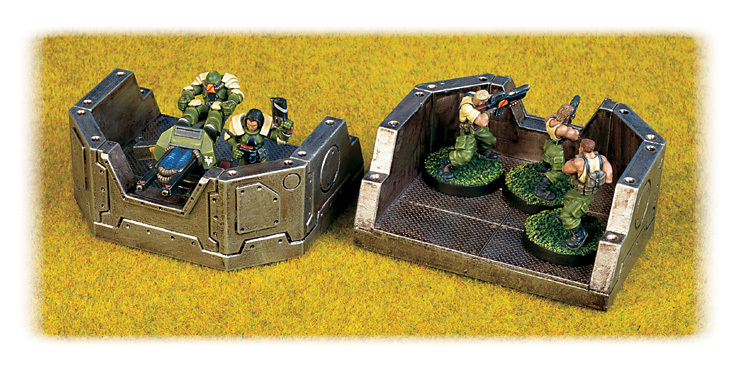 Lockers, a gun rack, a ladder to another level and a hatch to enhance the feel of your sci-fi games. 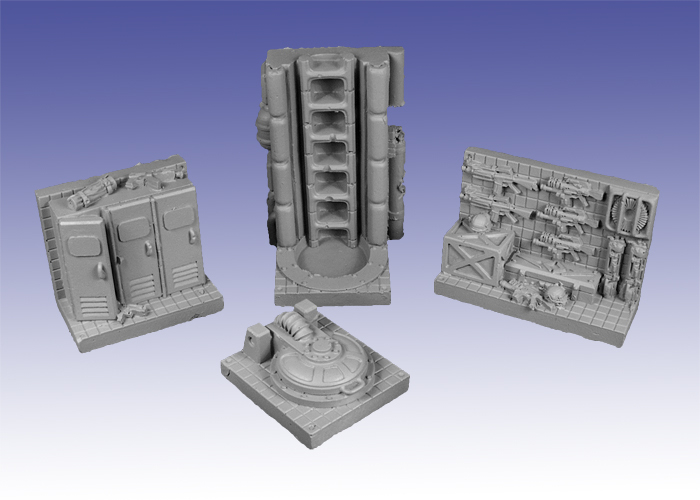 Set of 4 resin models. Organic wall sections, one with victims held in place, another with a sphincter door, and a clutch of alien eggs. 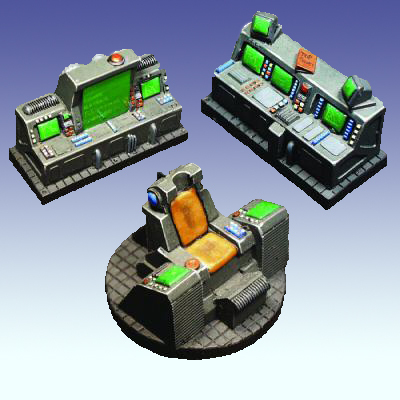 Set of resin models. Oil Drums and Jerry Cans. Old code 31907. Ammo Boxes. Old code 31908.